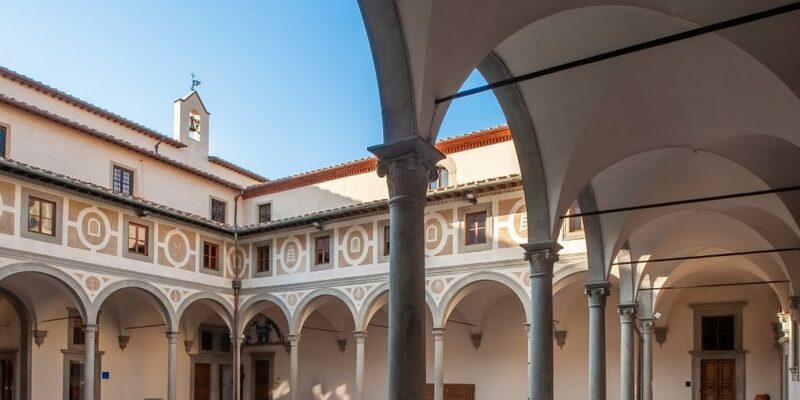 Join AWA at the film premiere The Innocents of Florence at Teatro della Compagina, Via Cavour 14, Florence, at 9pm on May 17, 2019, and remember the foresight of AWA’s founder Jane Fortune. The film The Innocents of Florence, directed and produced by Florence-based filmmaker David Battistella is a modern account of art restorers in Florence who begin work on "Madonna of the Innocents" a painting that is nearly 600 years old. 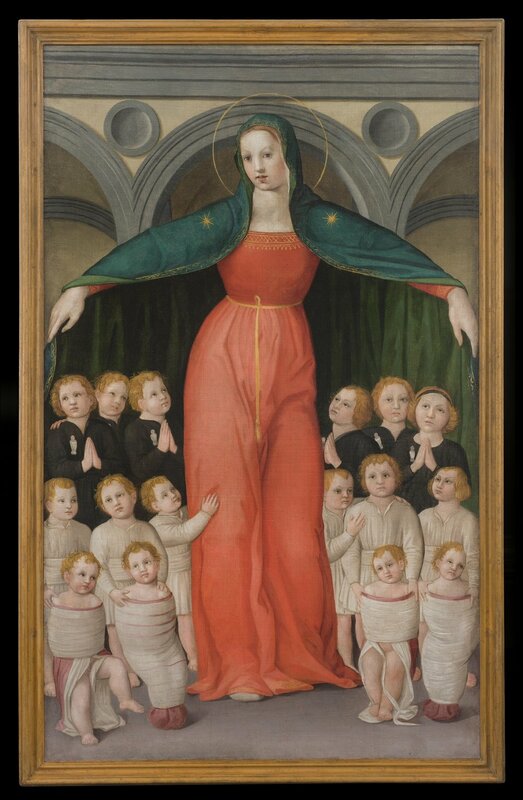 This conservation project, executed by Elizabeth Wicks and Nicoletta Fontani, was personally funded by AWA’s founder Jane Fortune who decided to support this work by Domenico de Michelino (despite him being a male artist). The project led the restoration team on a journey to uncover the story of the city's forgotten children, and the women who saved them. It’s 1410 and there is a huge social problem in Florence. Babies are abandoned and dying at an alarming rate. To solve the problem Florentine Humanists organize and build a hospice for newborns and to assist young mothers. To celebrate the completion of the new building in 1446, they commission a painting to act as their poster, logo and symbol for the new Institute. Flash forward 600 years to 2013, the very same painting sits in a museum within the original building. Two women, an American and an Italian, are tasked with the restoration of the work due to be displayed after the renovation and reopening of the museum. 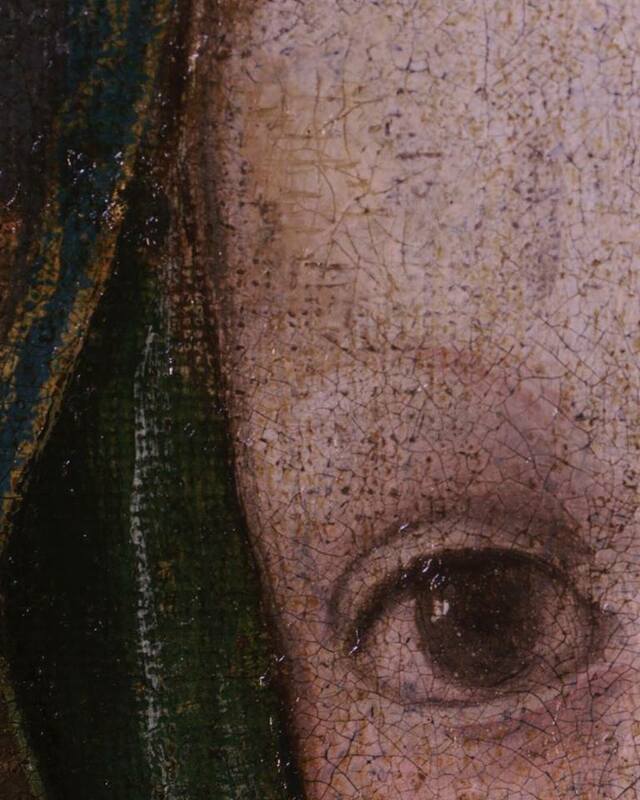 The conservation of ‘Madonna of the Innocents’ was commissioned after Jane Fortune and Elizabeth Wicks became curious about the young Madonna figure depicted in the work at Florence’s Museum of the Innocents. They were particularly intrigued by her facial expression. It seemed she was hiding a secret. The 'hunch' these women had that day in the museum led to what turned out to be the "greatest discovery of my career," says Wicks, who, with fellow conservator Nicoletta Fontani, spent close to 30 months preparing the work for display in the Innocenti, which boasts one of the rarest collections of children’s history in the world. The film took a full five years to complete. David Battistella will be present at the premiere screening in Florence (May 17) at the Teatro della Compagnia and screenings are scheduled throughout the following week and in other cinemas this year. In this 90’ minute feature-length documentary film, Battistella explores the themes of art, motherhood, Florentine humanism and how a progressive-thinking Renaissance society created one of the first Children’s hospitals in the world. He tells this story through the restoration of a painting that was created as the banner for the Innocenti Institute in 1446. Join AWA at the Florence premiere. The Gallery, with photos by David Battistella.